It is four years ago this month the aviation world sadly lost a remarkable and hugely respected aviator, Des Porter, when the much loved and popular de Havilland DH-84 Dragon (Riama) VH-UXG he was piloting crashed into rugged landscape near Imbil, Sunshine Coast Hinterland, while returning to Caboolture on 01 October 2012, after attending a NORRA-Aus Fly-in at Monto, Central Queensland. 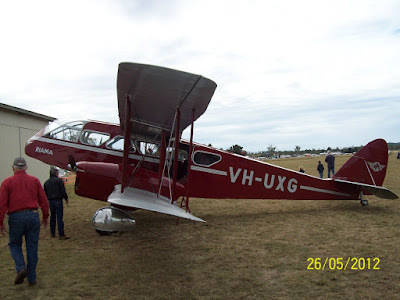 Also perishing in the unfortunate accident was Des Porter's wife, Kath, childhood friend and his wife, John & Carol Dawson, aswell as close friends, Les & Jan D'evlin. 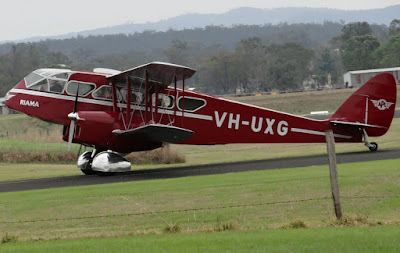 In memory of Des Porter and all passengers onboard , we have decided to re-share a post compiled sometime ago, and featured is a selection of images captured while enjoying a flight aboard DH-84 Dragon VH-UXG at the 2012 Old Station Fly-In and Heritage Show, Raglan, Central Queensland. 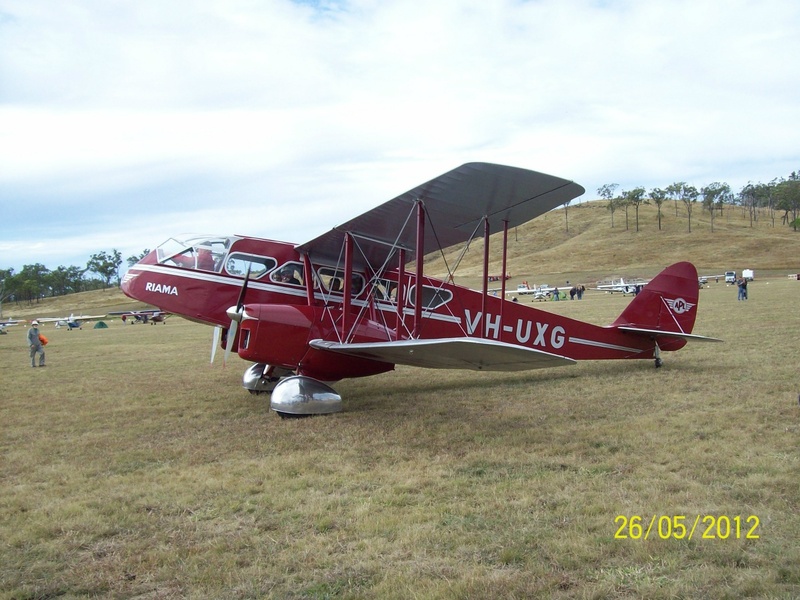 At the Old Station Fly-in and Heritage Show held at Raglan, Central Queensland on Saturday 26 May 2012, Des Porter flew his well-known and ever-popular de Havilland DH-84 Dragon VH-UXG up from Caboolture. 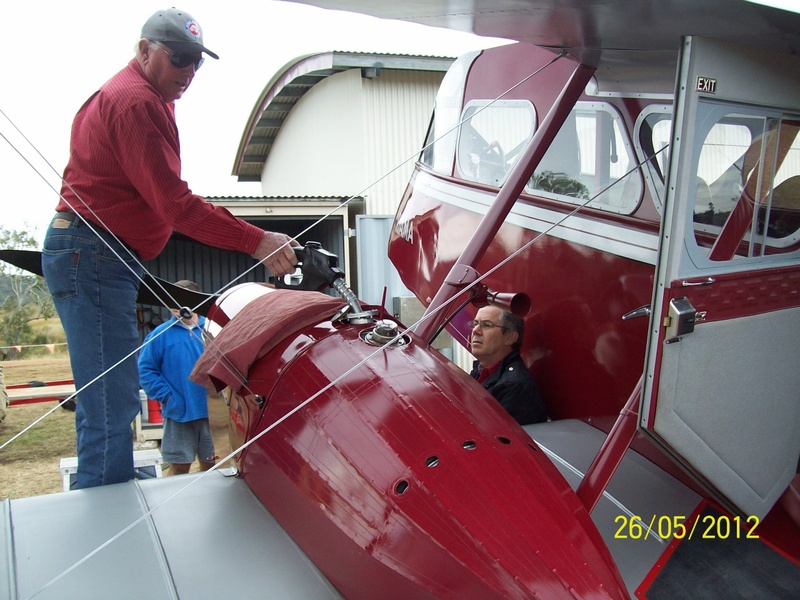 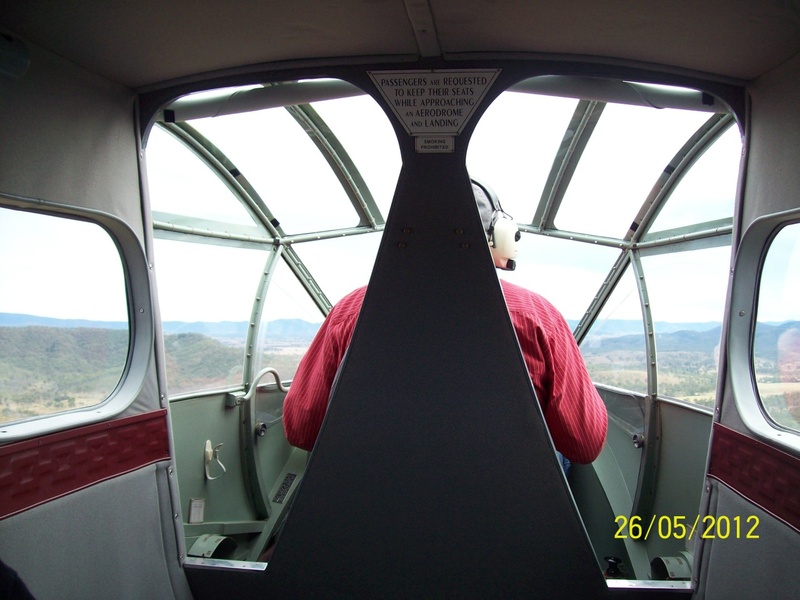 After arriving and enjoying a quick morning tea, Des opened up the lovely old plane for 15-minute joyflights over the local area with all proceeds from these being donated to the Capricorn Helicopter Rescue Service. 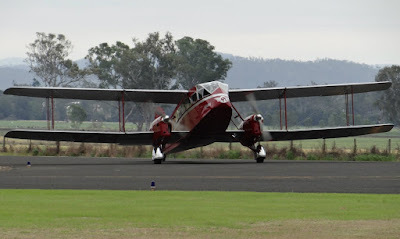 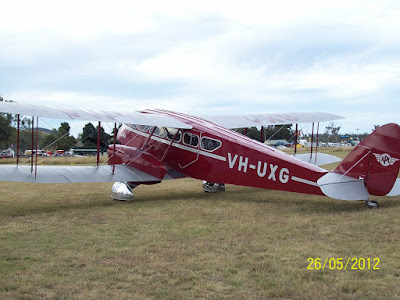 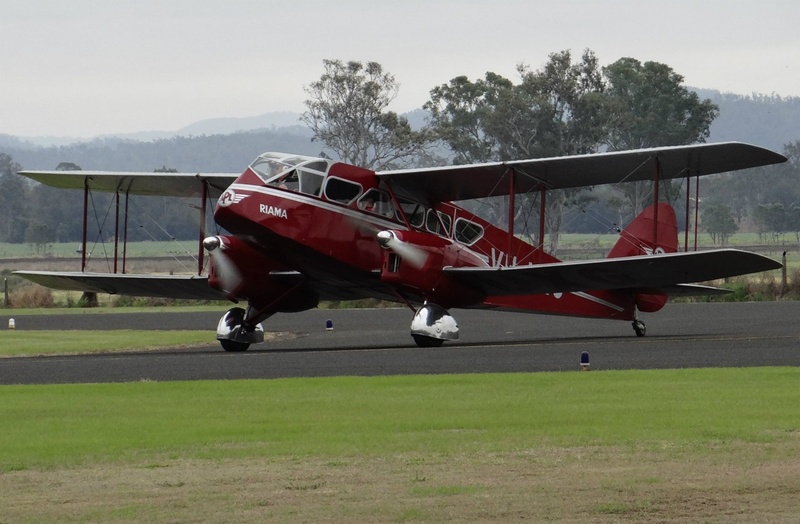 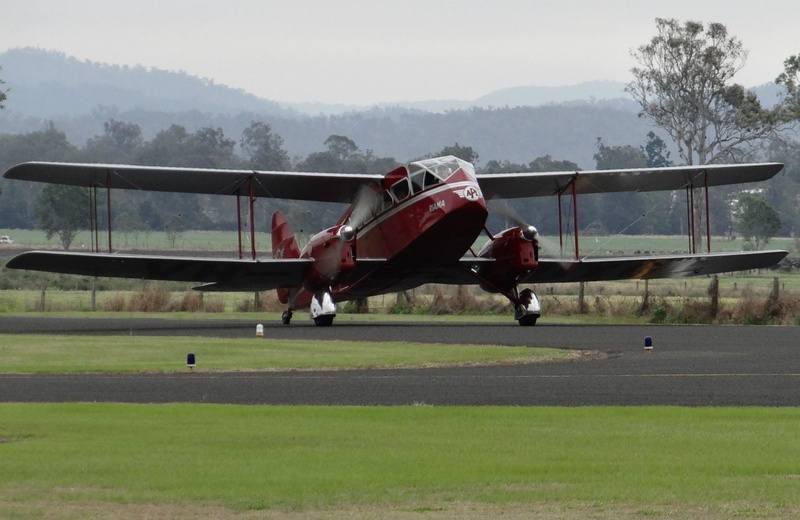 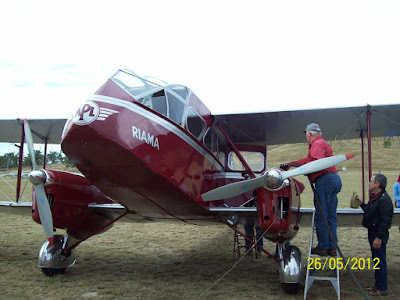 Naturally, I jumped at the chance to take a flight aboard the 1934-build de Havilland DH-84 Dragon which despite being manufactured in England, has called Australia home since 1936. 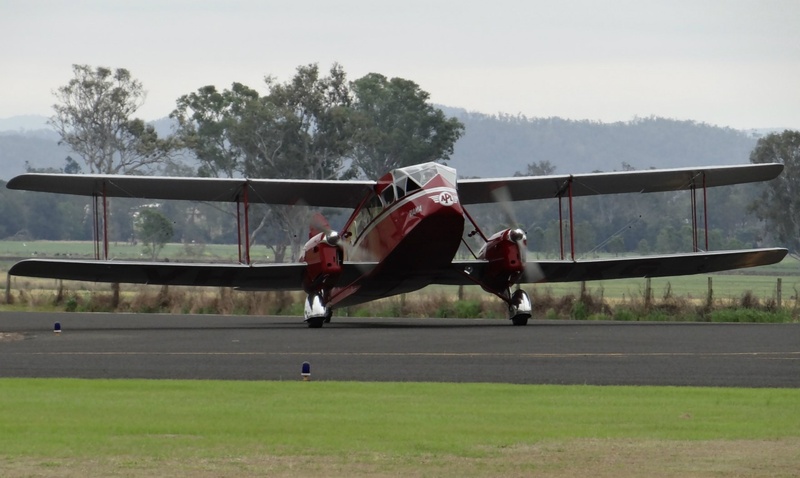 According to Des, the Dragon unfortunately suffered significant damage after his father crashed the plane sometime during the 1950's. However, after restoration many years later, the "ole girl" was able to take to the skies again. 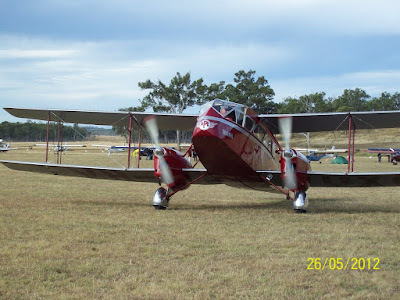 Of interest, the Dragon is powered by a pair of very old, although immaculately maintained (and regularly rebuilt) de Havilland Gypsy Major 10-2 piston engines. 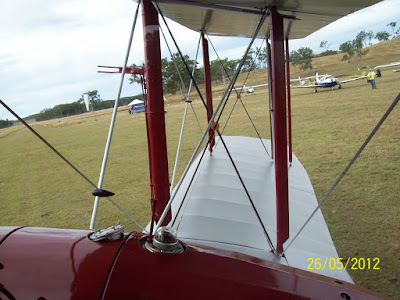 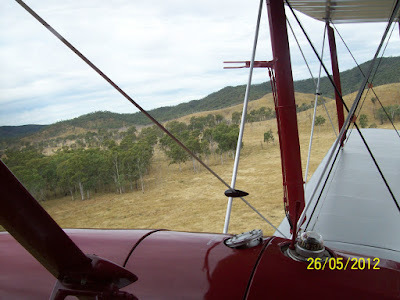 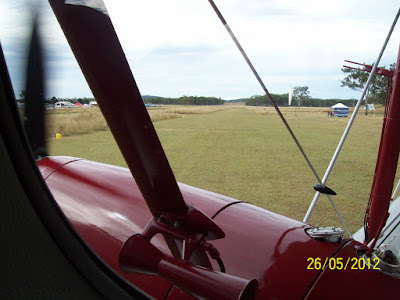 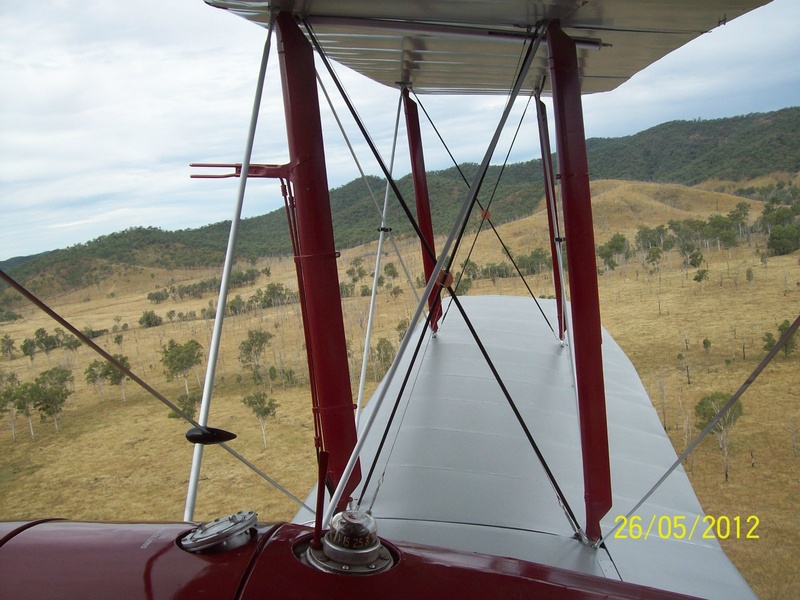 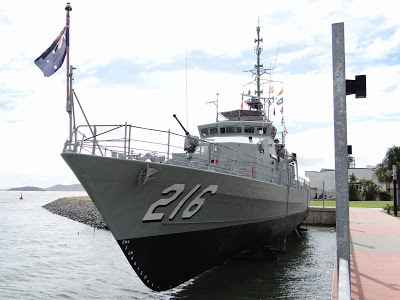 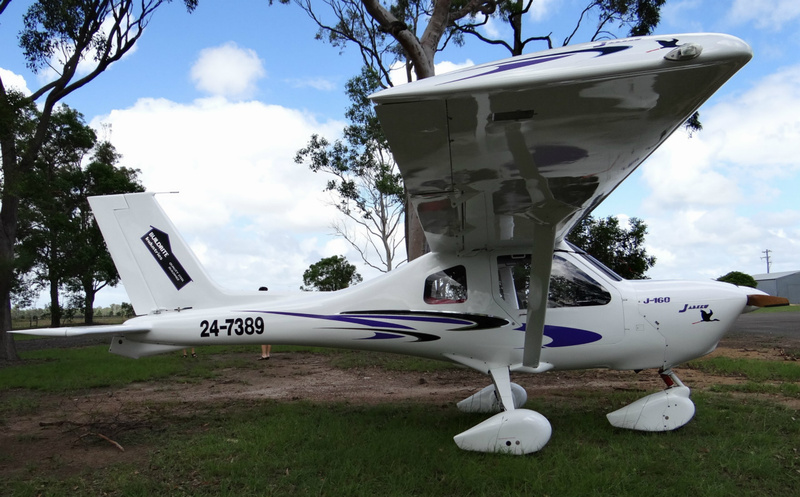 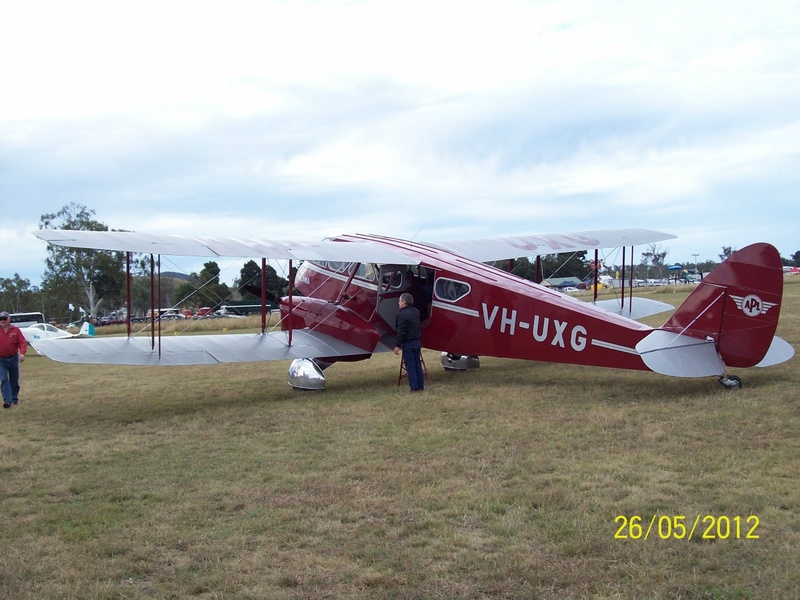 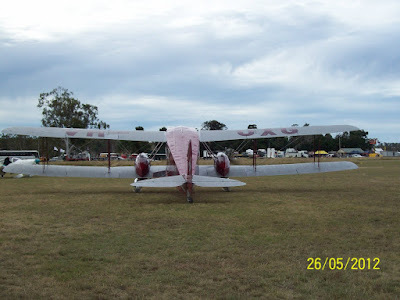 Des commented his particular aircraft has a relatively short-range endurance, although the flight from Caboolture to Rockhampton can be comfortably achieved. 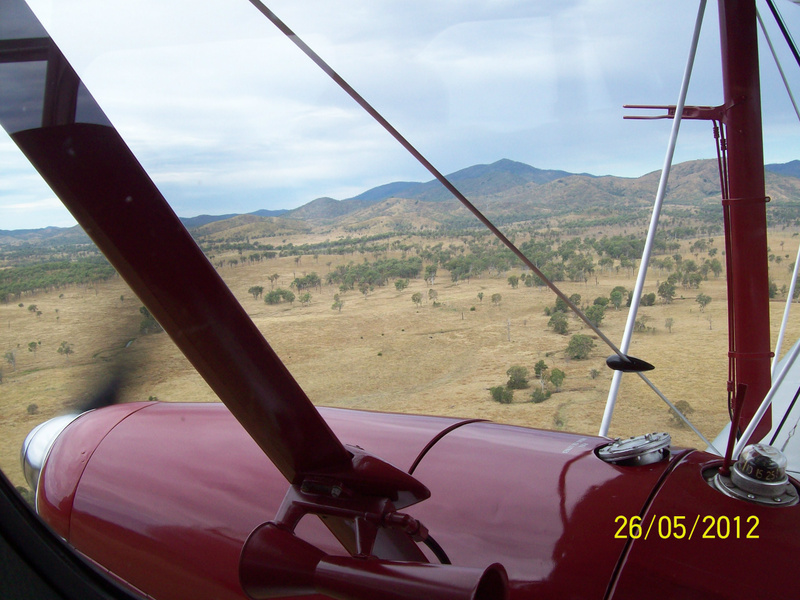 Typical cruising altitude on the trip was around 4000 ft. 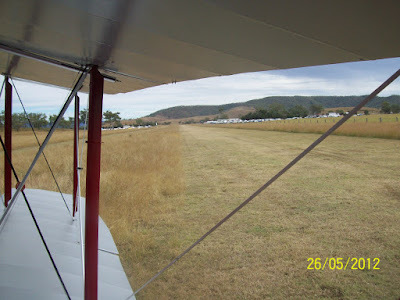 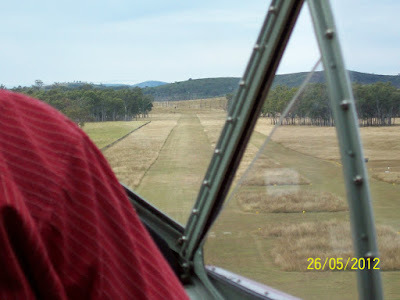 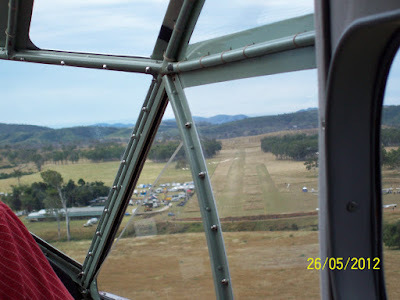 While taking me and four other passengers on a joyflight around the Old Station, Des maintained a low altitude of 500 ft to improve visibility of the surrounding area, and of the "Old Station" farm. 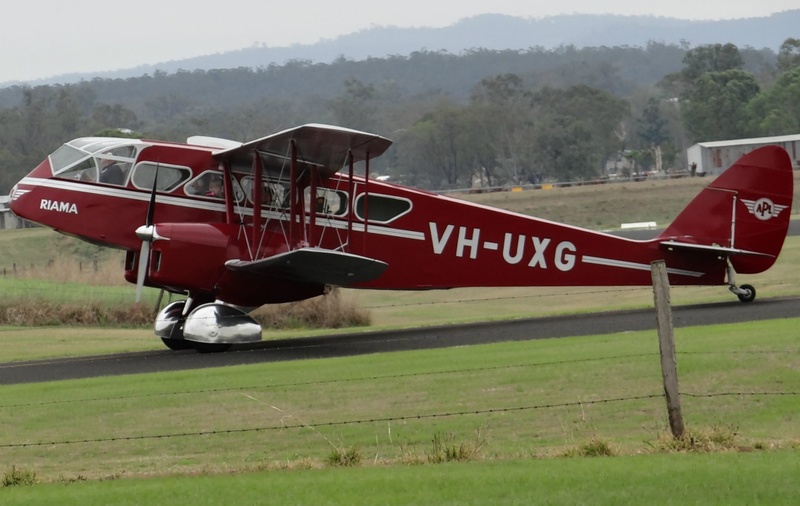 Ironically, I sighted the Dragon at the Monto Fly-in (NORRA-Aus) in October 2012, only a day before the unfortunate accident and have included what could possibly be among the last photograph's ever captured of VH-UXG. 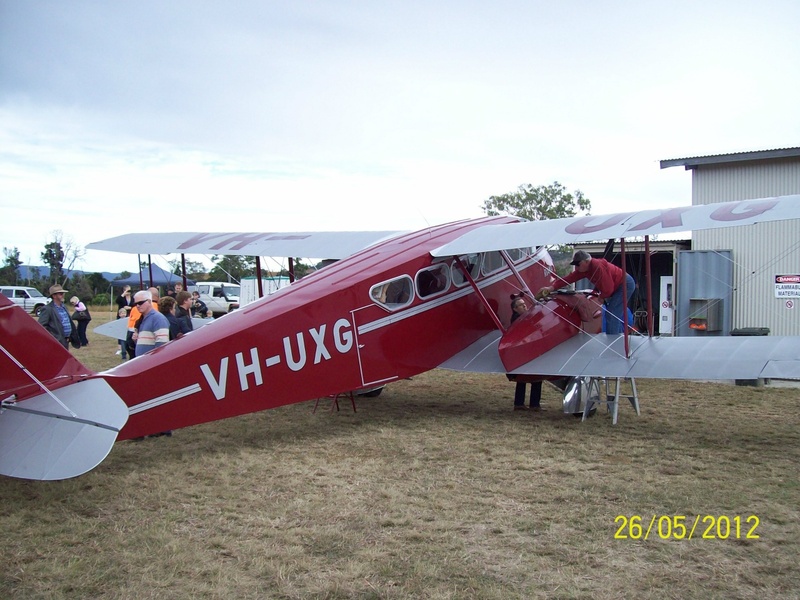 NORRA-Aus Monto Fly-in, September 2012.